Before we go on with any kind of information, I want to make something very clear. There is a myth going around that a wedding invitation can convince people to attend the event. No, it really doesn’t matter how ingenious or funny a wedding invitation is: if someone does not want to come to your wedding, that’s not going to make them change their mind. However, this doesn’t mean that wedding invitations are any less important than, let’s say, your table centerpieces. You need to share some of that pre-wedding enthusiasm with your guests and the wedding invitation is the perfect occasion to do so. Handing out wedding invitation is a good opportunity to see some of your old friends and family members, but it can also be quite tiresome. 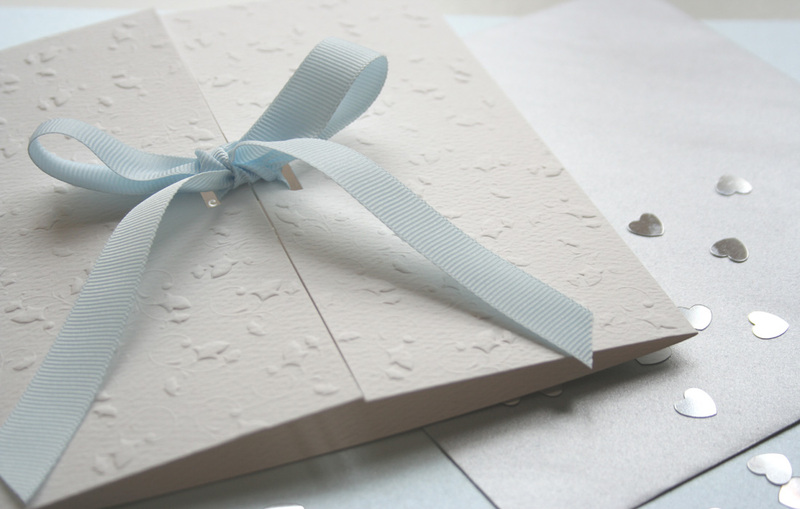 After having put together your final guest list, you need to order your wedding invitations. Always order 10 extra invitations, especially if it takes a longer time to make them. Having a spare never hurt no one. The first category is composed of the invitations that you and your spouse will give out to friends and colleagues. The second category of invitations should be given to your parents to hand out. And the third one goes to the in-laws, so they can make their own appointments. A reasonable period to start handing out wedding invitations is 2-3 months before the actual event. If you’re planning a summer wedding, make it 3 months, because people are often on vacation during the summer and you want to make sure they will be available to attend your wedding. To make sure you don’t break any egos, pay close attention to the names you write on the envelopes. If you’re inviting someone who is single, then write the entire name of that person. If it’s a married couple, you can either write just the family name or the entire name of each member. Always put the ladies first; they need to feel important. If the invitation goes out to a couple who is not marries, always find out the full name of both. They are a perfect choice for a small wedding, because they will probably cost you more. You need to order them in advance because they take longer to make. When you opt for handmade wedding invitations, don’t always trust internet samples. You should feel the texture and quality of the materials used. If you order them online, chances are you won’t be 100% happy with the final product. If there are details you don’t like, you may not even be able to change it, since it takes so long to make new ones. Aside from quotes of eternal love and rhymes, you need to make sure that the text printed on your wedding invitations contains all the required information so that people will know when the ceremony and receptions start, what is the exact location of the venues and the specific date of the event. Sure, it may seem funny to come up with a riddle that people need to solve in order to find the location, but it won’t be at all funny if guests find themselves in the wrong church.